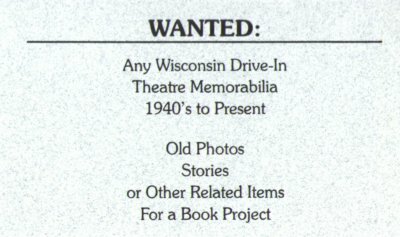 I have a good friend of mine who is currently working on writing a book on the drive-in theaters in Wisconsin. He has been a great help with the enhancement of my web page. 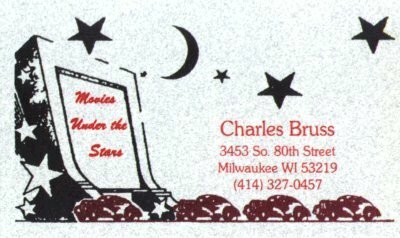 If you ever worked for or owned a drive-in theater in Wisconsin, he would like to talk with you about your experiences!